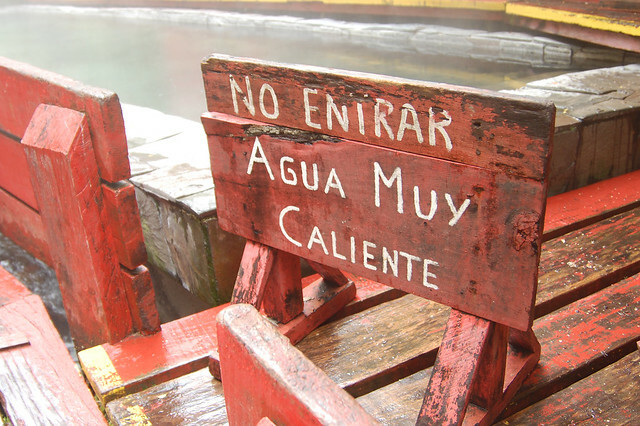 I’ve started getting into hot springs, thermal baths, aguas termales, whatever you want to call them. My interest started back in 2013, when I visited the Termas de Cacheuta, near Mendoza, Argentina. Even in the winter temperatures, I tried the outdoor pools, and then headed indoors to ease myself into the progressively hotter baths, gradually making it into the very hottest bath, said to be excellent for your health. This past year, I realized just how nice it was to feel warmed to your bones during a cold winter by soaking in the medicinal (and muddy) waters of Mamiña, near Iquique, Chile. I followed that up with the high altitude baths of Termas de Puchuldiza. At the end of the year, I brought the volunteers to a lovely end-of-year retreat at Refugio El Molle in the Valle de Elqui, where we soaked in super hot mineral waters heated by wood-burning fires. I’m hooked. 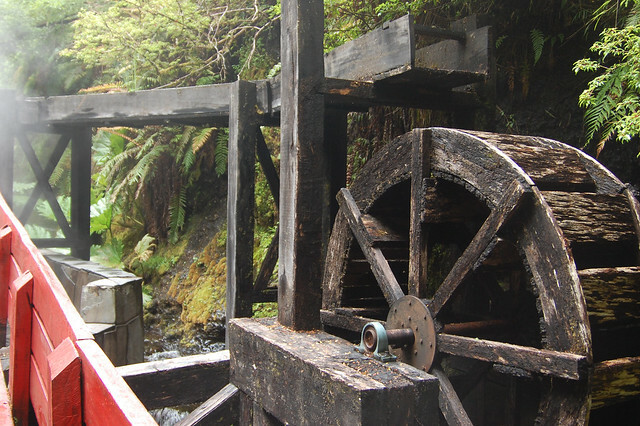 So when I headed to Pucón and started asking about the top activities in the area, Termas Geométricas came highly recommended – and with an equally high price tag. Besides the pricey entrance fee, as you see above, you pay another $10000CLP or so for the tour, or really, transportation. 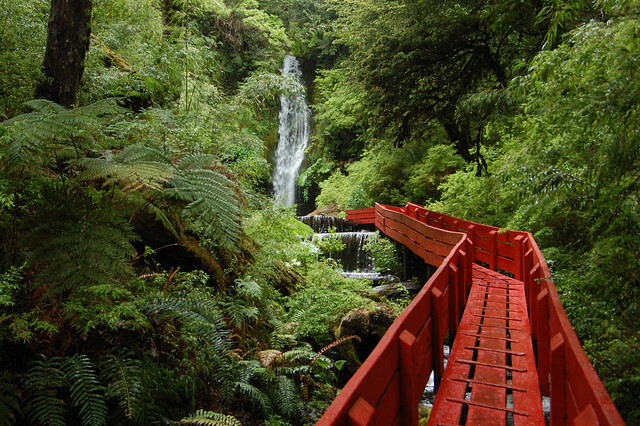 Visiting Termas Geométricas is a financial commitment, and an all day activity. I was assured that Termas Geométricas were absolutely worth it, due to their unique construction and beautiful setting. 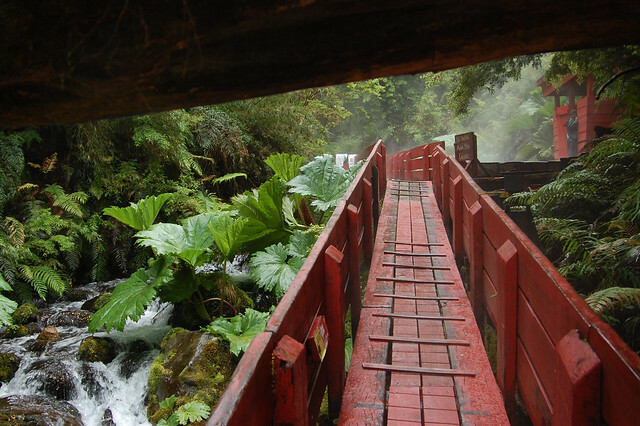 Visiting the thermal baths is a popular activity on rainy days in Pucón, when the weather makes it challenging to do the usual adventure tourism around the area. It’s also a good way for tired hikers to relax their muscles by soaking for a few hours. 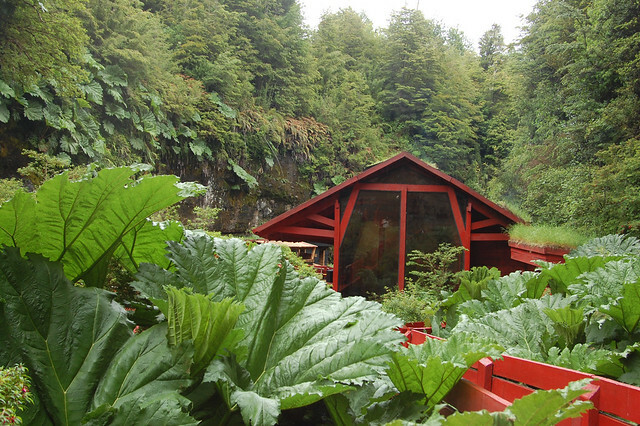 Termas Geométricas are located about two hours from Pucón, near Coñaripe, up a dirt road into the foothills of the mountains. Much of the road is paved, but you need an appropriate vehicle to climb up to the hot baths, especially on a day as rainy as the one I visited on. 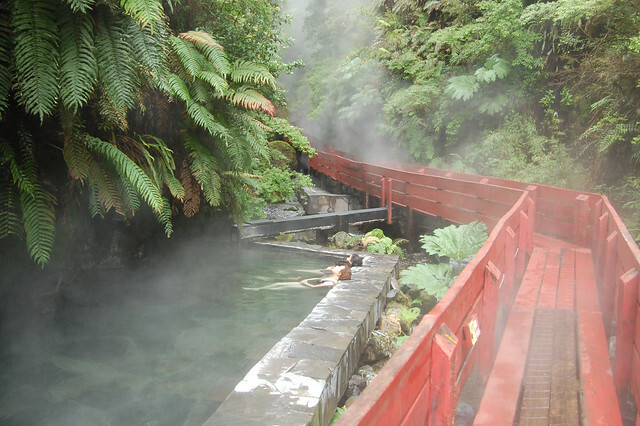 There are several other termas and spas located in this same area due to the mineral water, but Termas Geométricas is the most popular one among foreign tourists – Chileans probably don’t visit as much due to the price tag. The establishment provides you with what you need – a towel and a lock for the lockers located inside the changing rooms – and you just need to bring your bathing suit. That’s it. After paying your entrance fee, you’re on your own (well, you and a horde of other visitors if you come during peak hours). 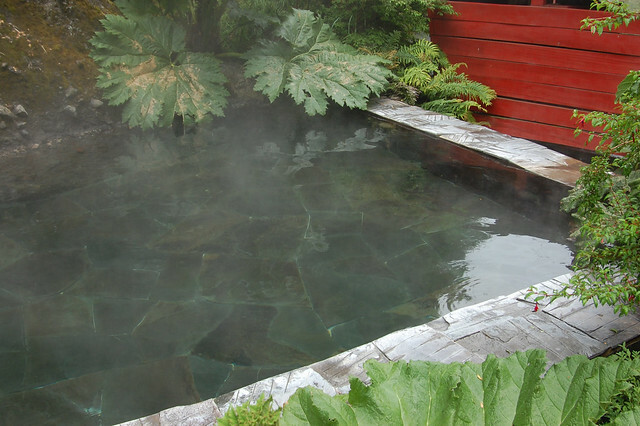 The reason these hot springs are so popular is due to their cool design. They appear to be carved into the mountain walls surrounding the narrow pathway. 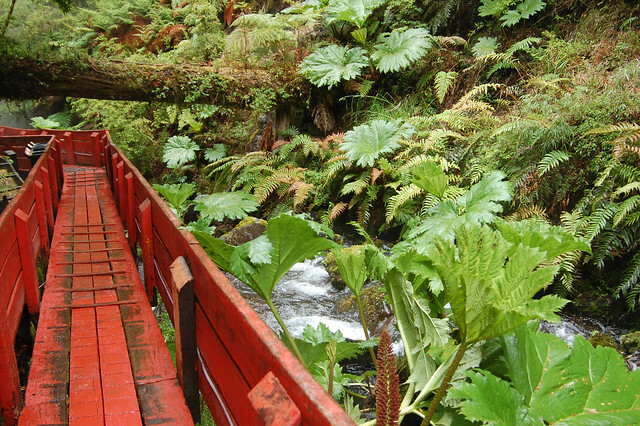 The foliage is plentiful, so you have the sense you are in the middle of the jungle (you kind of are – this is bosque valdiviano, or Valdivian temperate rainforest). 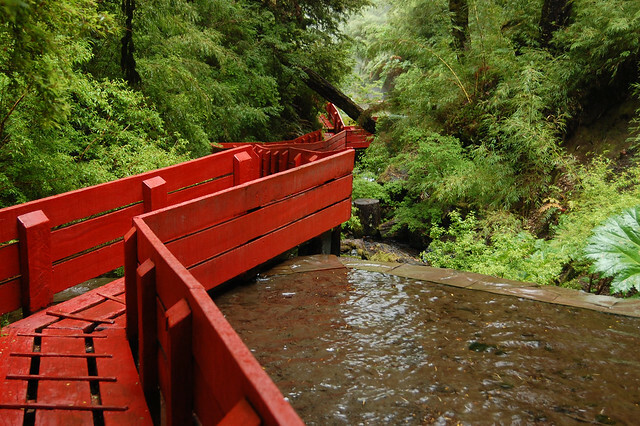 The main feature of the hot springs are the red wood pathways and buildings, which are constantly being repainted, so watch out for fresh paint signs. The baths themselves are constructed from stone to match the mountains, and there are some other features, like the wheel pictured above. There are probably about 15 hot baths to choose from. The most popular ones are located closer to the entrance, but if you keep following the path away from the entrance, you can find more private or secluded places to soak. There are a few located above the main area, but they were closed on my visit. The baths have varying temperatures, ranging from about 27 degrees Celsius to 34 degrees, although none of them were heated to that temperature on my visit. While the water was hot, there was actually only one really hot bath on my visit, and it was tiny! The temperature is regulated by the staff, but some baths happen to be extra toasty on a given day so are closed to visitors, as you see above. There’s not much to say about the experience of soaking in thermal baths – it’s quite lovely. 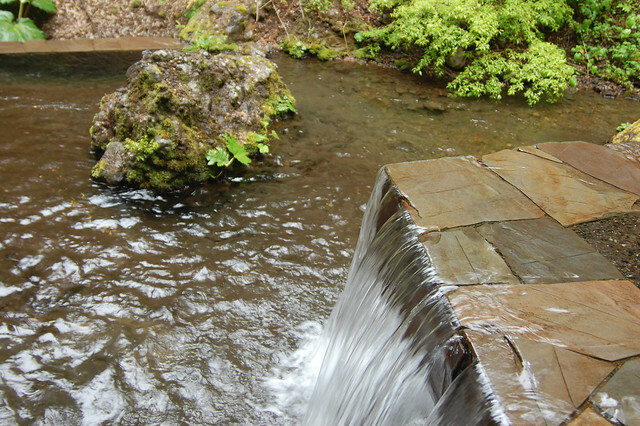 I would spend a while in one hot spring, and then step out into the cold air, take in the landscape and design, and then choose another. There is something quite pleasant about walking around in a bathing suit with cool raindrops splashing down on you and small waterfalls providing a steady soundtrack of relaxation. If you keep wandering all the way back, you come across a large waterfall, as you see in the photo below. 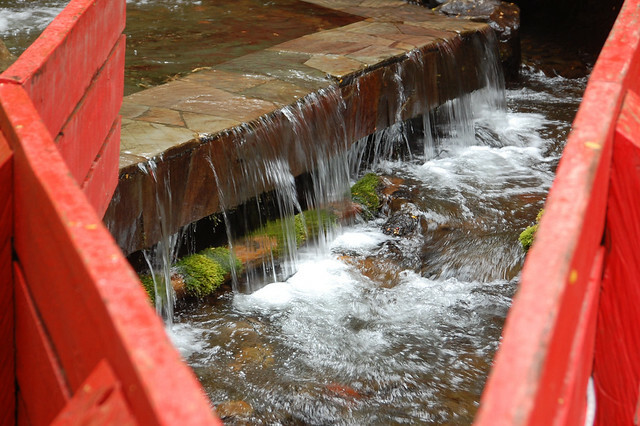 While you can’t actually go under it, there is a smaller, super cold waterfall on the grounds that you can duck under to shock your body between dips in the hot baths. Not for me! All in all, it’s a pleasant place to while away a few hours. Many people visit with friends and family, and spend the time chatting, but I chose to find a hidden corner with fewer people and just soak and relax. Later in the afternoon, the crowds head to the café and you can get quiet time. Would I say this is worth the price of admission? Probably not. While the design is lovely, I went for the healing hot water and there weren’t enough truly hot baths for me. The pricing is designed to make the place a bit elitist and keep the volume of visitors down to a manageable level. 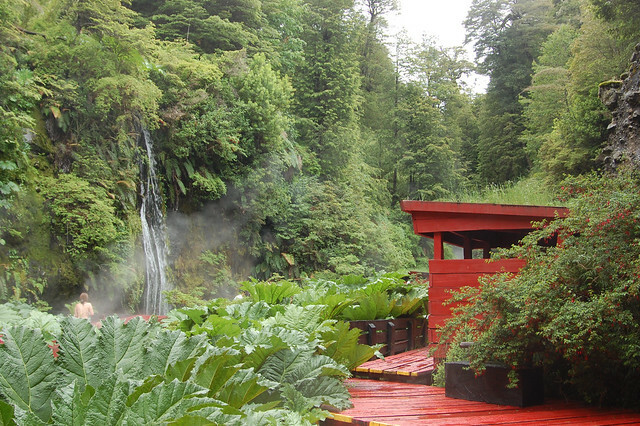 Especially for budget travelers, I would suggest trying out more affordable termas elsewhere in Pucón or during your travels through Chile. The surprise of the visit was the delicious food at the café! 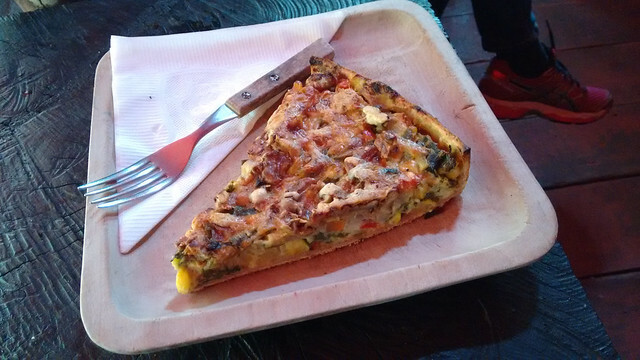 The little café has a wood-fired oven and makes pizzas, breads, quiches, as well as locally popular sweets like küchen (German-style cake with fruit topping). I loved the vegetarian quiche because of its ingenious addition of pecans, adding a nice crunch. Yum – must recreate this! 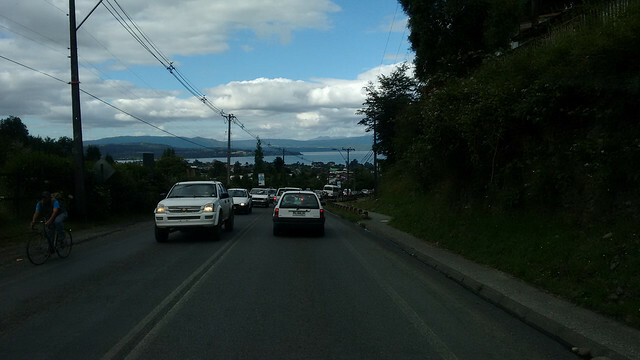 After a few hours at the hot springs, we headed back to Pucón. As evidenced by the sun coming through the clouds a few times during my visit, the heavy rains were over. On the road back, I spotted the blue skies over Lago Villarica, and knew I would finally get to see Volcán Villarica in all its glory. This was also a good omen – summer was officially arriving, and that meant almost my whole trip was illuminated by sunny days! Here is the website for Termas Geométricas, where you can get a sense of the layout and find more precise driving directions. Here are over 1000 rave reviews on Tripadvisor. Visiting the hot springs is one of the most popular activities on any tourist’s agenda, so your hostel or hotel probably has a preferred tour group that they work with. The tour is just transportation to and from the springs, so I suggest going with whichever operator offers you a discount. If you decide to rent a car, be aware that the road off the main highways is rocky and muddy and a flat is incredibly likely. We got a flat on the highway on the way there. There is no cell phone service in this part of the mountains, so the tour operators look out for each other to help with anyone who has a flat tire or mechanical problems. 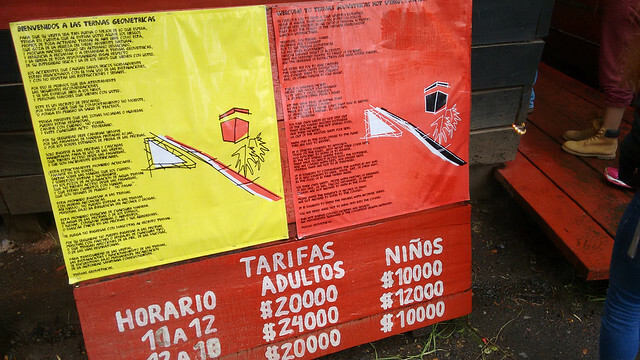 The prices for the entrance fees are indicated in the photo above (either $20000 or $24000 CLP for adults, depending on arrival time). Most of the tours arrive at noon or one and leave at four, so be prepared for crowds in that time frame. It felt a little crowded upon arrival but there are plenty of lockers and you can find a little private corner if you keep walking away from the entrance. I think it would be fun to come at night. As mentioned, make sure you bring your bathing suit, but you don’t need anything else. I walked around without flip flops and my towel to avoid having to carry them. Once you soak in your first hot bath, you don’t feel cold anymore when you step out, and if you do happen to feel cold, just get in another one! The bathrooms are outdoors but well-maintained, and I did not see any showers or plugs to dry your hair. Be prepared to be a bit chilled on the way back so bring warmer clothing and a scarf to keep long hair off your neck. While I enjoyed my visit, I do think these hot springs are quite expensive for what they actually offer, and I would suggest going to other nearby thermal baths. Pingback: The Top 50 Places to Visit in South America: Make the most of this incredible continent.